What better time or place to write a BLOG post than on an island in the Bahamas? My wife and I traveled here for our 5 year anniversary. Crystal clear water, nice cool breeze, quiet with no noise but the seagulls looking for food. The waves are crashing 20 feet in front of me and the colors of blue in the water are incredible. All that and yes, I’m typing a BLOG post (even though there is an open bar.) This is the Bennett Blog that goes deeper and where I decide to no longer limit these writing to just REAL ESTATE related topics. I know it may seem strange and most readers (if there are any) of the Bennett Blog are in the real estate industry but you are also people. Presumably people who want to get better, who want more in life, and who are looking for the why…I know what you are thinking, this dude is off his rocker but it’s all relatable. Let me explain. We spend most of our adult lives chasing our career and success. We trade our time to get to the highest level we can, we trade time with our family and our loved ones, we sacrifice our own well-being. We give it ALL for the climb. And I am no different. All I am bringing in to the fold is the WHY? Easy answer right, you want nice things, you want your kids to be proud of you, you want self-accomplishment, blah, blah, blah. Of course, we all do. We are wired that way. The “WHY” is subjective to each person, or at least it should. It shouldn’t be dictated by societal “norms” or based on an undergraduate business course. Maybe you work so hard so you can start a foundation and donate 99% of your earnings to a good cause. Maybe you do because you want a YACHT, or maybe you do it because you (even as an adult) feel like you have to make your parents proud and validate yourself. 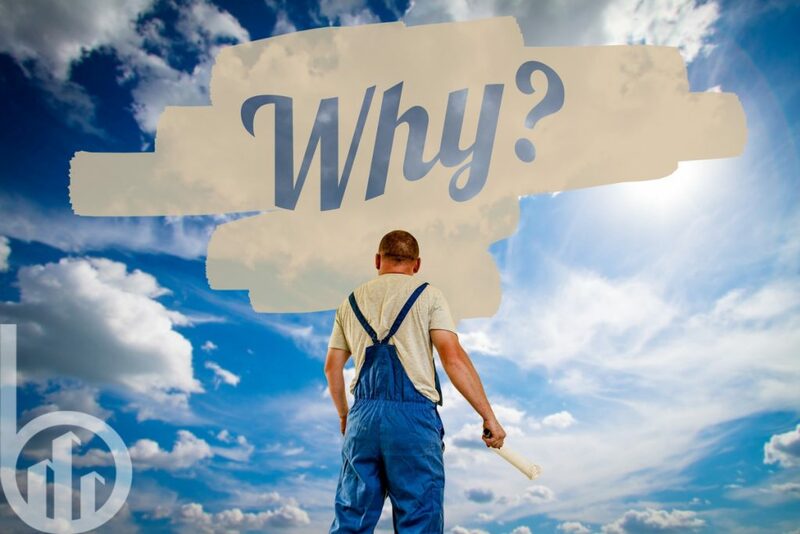 Whatever your “WHY” is, it baffles me that you cannot think about this and have a clean answer on the “WHY”…it is literally the foundation, reason, and explanation for everything you do in business. The WHY should be determined early on, remain fluid and flexible as life events change, but it does not have to be. I will keep it real and give you my why, first and foremost to take care of my kids and wife and give them a happy, healthy, and plentiful life. But the BIG why is because to me nothing is worth doing unless you’re doing it the best you can, 110%, NO EXCEPTIONS…I want to WIN, succeed, and be the best in what I do. I see no point in doing it if you do not have that desire. This never changes for me, this is my WHY on everything. Whether I am developing real estate or 20 years from now own a car wash, I want to WIN in any of these scenarios. Someone recently told me; ‘How you do anything is how you do everything’. To that end, these blogs need to be better and stronger and deeper and more beneficial. If you want to read a real estate blog about someone who made millions and all of their successes but doesn’t touch on what is beneath that success, drive, and, approach then Google. These blogs are made to create thought for myself and hopefully for the people that may read these. They’re made to share with others my approach, not limited to business and maybe even help some along the way.